1. 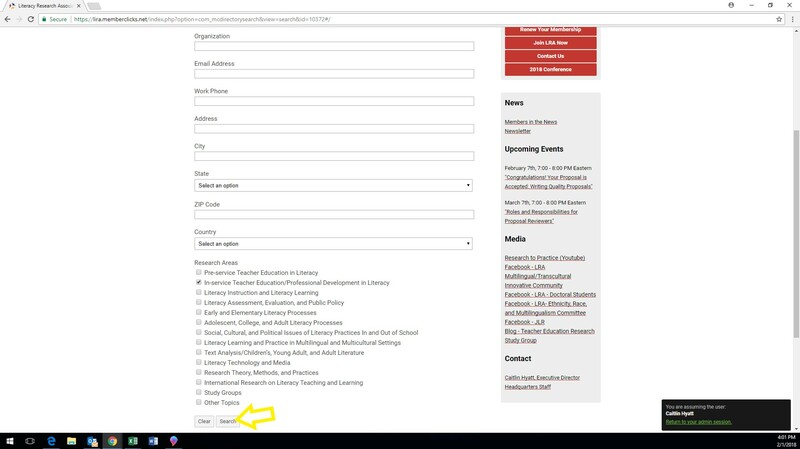 Once you are logged in, click on "Membership Directory" at the bottom of your page. 2. Here you will see the Membership Directory. You are able to search for a member by filling in any of the parameters listed (circled in yellow). Scroll down the page for additional parameters. 3. For example: To search for members by research area, first, scroll down and locate "Research Areas" on your screen. 4. 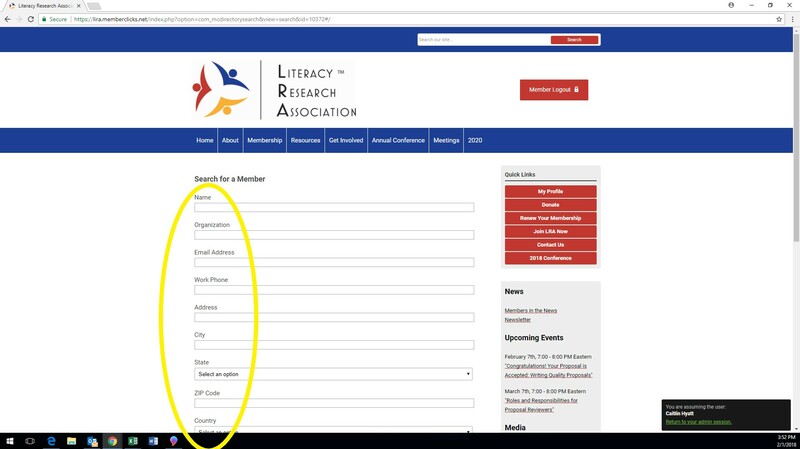 Under "Research Areas", check the box(es) beside the area(s) you would like to search by. Note: you can search multiple areas at once. 7. Once you click "Search", the members who match the results you searched for will be displayed. 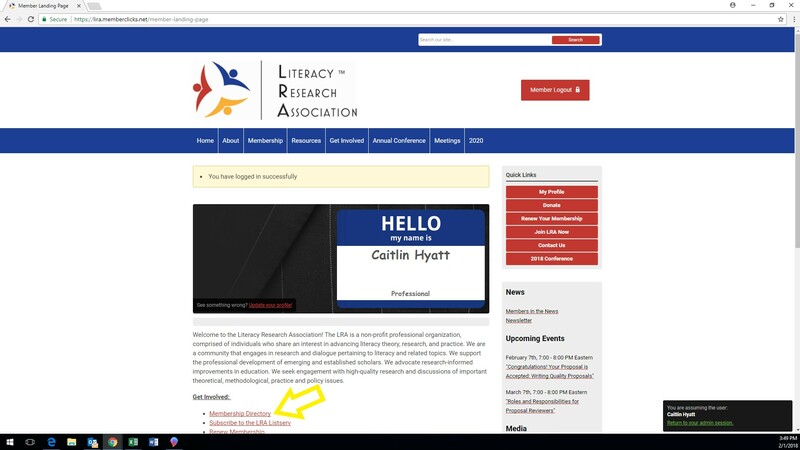 In this case, there were 61 members who are involved with the research area In-service Teacher Education/Professional Development in Literacy (see image below).